Hello! If you’re submitting a proposal, it’s crucial that you submit it through the Online Journal System. Attached are instructions on how to register for OJS. Please do so under “authors”. You’ll really only need your Netid and password. Go to “login” on the right side of the page. If you have any questions, please do not hesitate to contact us! Proposals are due on Nov. 4 at 11:59 p.m.! 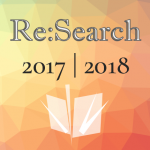 Thank you for your interest in Re:Search! Attached is the call for proposals! Proposals are due at 11:59 p.m. on Sunday Nov. 4!